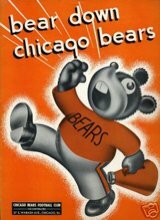 I’ve been working on pulling together the story behind the writing of “Bear Down Chicago Bears”–a mystery of perhaps less significance than, “What happened to the WMDs?” Still, you work with what you got. You can buy the song from Spier here (it’s three bucks; the company is selling several other Bears-related musical items, too). If you’re not satisfied with a virtual copy, I found at least one copy of the 1941 original for sale on eBay (the seller has timed it so that the auction will end near game time on Sunday. 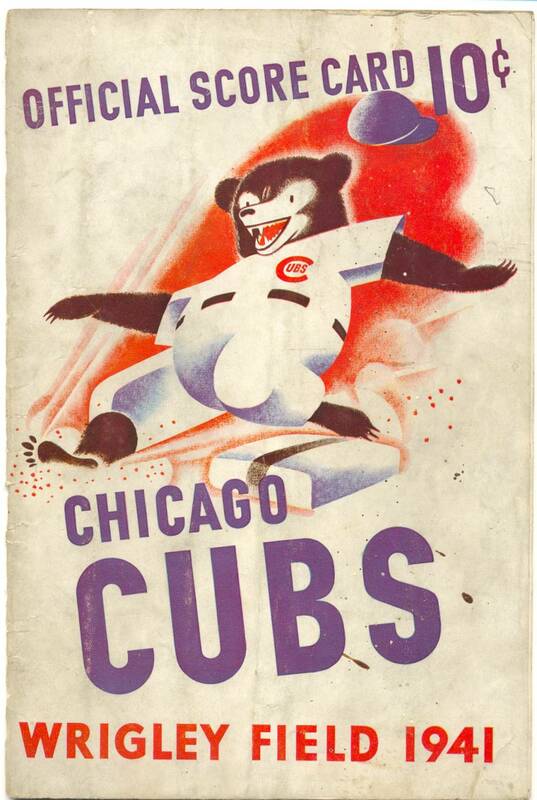 One last thing: The graphic on the “Bear Down” cover page: It looks familiar; it’s looks similar, in some way, to Chicago Cubs scorecards, which always seemed to have an abstract quality to the cover art (that’s the 1941 scorecard here, part of a great online collection assembled by a “die-hard Cubs fan” (poor soul). 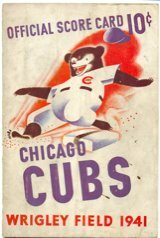 I wonder if the same illustrator worked for both teams?